So, I made a decision to try and make more pantry items, rather than always buy them. And, since I have been using my Air Fryer, I can have the taste of grilling, even though, there is still snow on the ground. My kids really like eating chicken, they also love buying chicken at fast-food restaurants. So this week, while they are on spring break, and I have more time to cook, I thought I would start experimenting with chicken rubs. 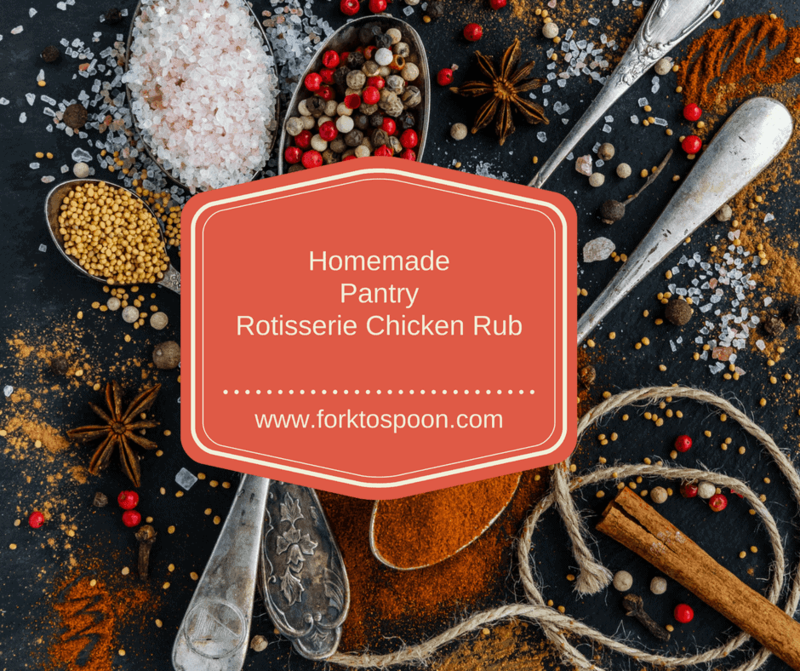 Now, if you have been following along with my cooking adventures at Fork To Spoon, last week, we made homemade KFC Rub, which had the delicious flavor that KFC is known for. Today, however, I was looking for a rub for a whole chicken. 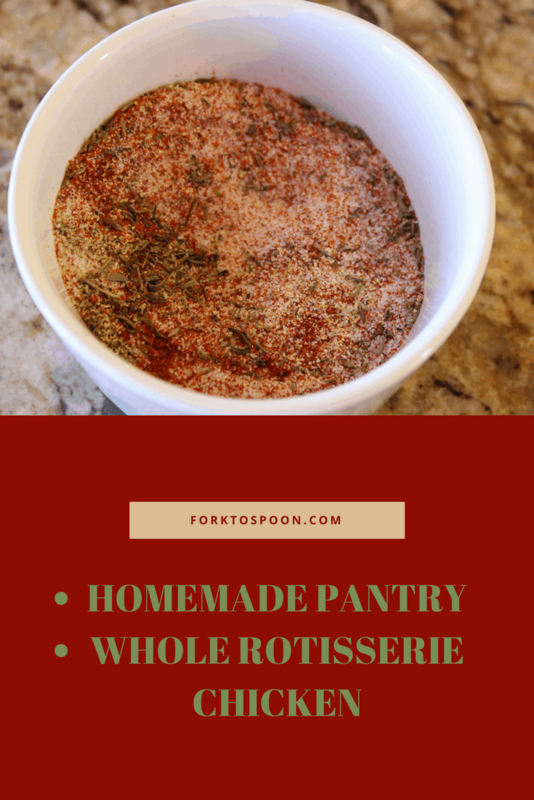 This was a great rub, it was so good, that my son came along and grabbed some and ate it from my spice jar. It has a nice earthy blend. 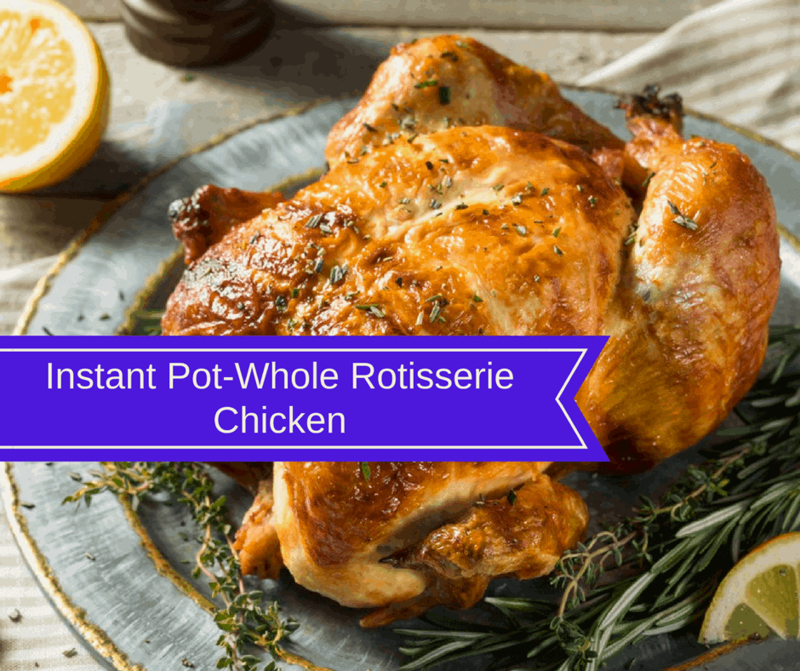 If you ever purchased a rotisserie chicken at a supermarket or Cosco, you will immediately recognize this flavor. It really brings out the flavor of the meat. This is a picture of my meat that I used it on. If you want the recipe for the chicken, it’s here. See, the nice deep flavor, broiled into it? Place all of the ingredients into a blender, and then blend into smooth. Rub it over your chicken, and continue cooking as you normally would. If you want a rich deep flavor, seer this into the chicken by grilling or using a skillet, before cooking.